The theme of the conference was set early on from industry progress to sustainable growth. “I am really proud that NCIA’s events always bring out the best and brightest in the industry,” says Smith. “It is mostly members of NCIA attending, which are the folks invested in the future of the industry and not just in it to make a quick buck; they are here to build a new business sector.” On Tuesday morning, Smith gave his opening remarks and introduced the first keynote delivered by Ahmed Rahim, co-founder and chief executive officer of Numi Organic Tea alongside Kayvan Khalatbari, founding partner of Denver Relief Consulting, to discuss the triple bottom line in business, emphasizing the need for social responsibility, which includes environmental stewardship, fair labor and trade laws and community integration among cannabis businesses. California Lieutenant Governor Gavin Newsom also delivered a keynote address that was received with a standing ovation after discussing the November ballot initiative, which would legalize, regulate and tax the adult use of cannabis in the state. 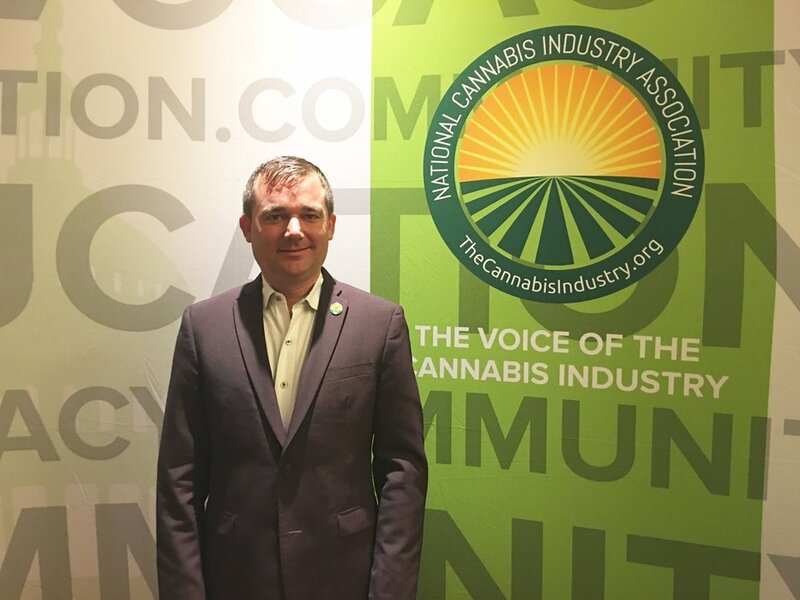 Newsom’s speech highlighted the state’s opportunity to make considerable progress in the cannabis legalization arena this November. The substance of his speech echoed that of many attendees focused on moving the industry forward sustainably. “We need to right the wrong of the failed war on drugs in America,” says Newsom. Boisterous cheers and applause followed almost every sentence as he continued to emphasize the need for social and criminal justice reform. “We are not doing this to be the next California gold rush or to make tax revenue; our purpose and focus is social justice,” adds Newsom. The Lieutenant Governor also mentioned the sheer massive size of California’s market opportunity and their pragmatic regulatory framework in development. 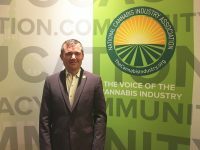 “The entire retail of recreational and medical [cannabis sales] in Colorado was just shy of $1 billion last year; we are talking about our 58 counties up in the northern part of this state that produce anywhere from $9-13 billion [sic] of wholesale cannabis- it’s a game changer,” says Newsom. 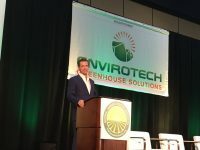 “We have had the benefit of seeing where other states have fallen short or struggled [in regulatory frameworks] and will present that to voters this November.” Newsom also mentioned that members of the cannabis industry need to act as stewards of the environment and protect the small farmers. Panel discussions throughout the afternoon and following day deliberated a wide variety of topics from laboratory testing standards to the state of affairs in education, training and certification across the country. John MacKay, senior director of strategic technologies at Waters Corporation, led a panel titled Validation of Analytical Methods, Lab Certifications and Standard Methods with Cynthia Ludwig, director of technical services at the American Oil Chemists’ Society (AOCS), Shawn Kassner, senior scientist at Neptune and Company, Inc. and David Egerton, vice president of technical services at CW Analytical Laboratories. 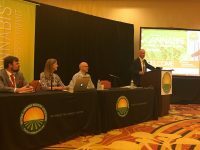 The panel addressed many of the current problems facing the cannabis testing space. “It is a very difficult plant to work with and labs are doing their best to provide reproducible results,” says Mackay. Cynthia Ludwig emphasized the need for collaborative studies and method validation in cannabis labs. 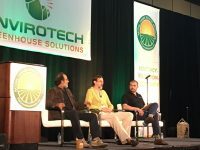 “We [AOCS] provide official, validated laboratory testing methods, but the cannabis industry really has no official methods to work with,” says Ludwig. Egerton echoed Mackay’s concerns over difficult sample preparation and the difficulty of working with cannabis in the lab. “The problem is the matrix of the cannabis sample; the matrix is a critical aspect of method validation- ensuring we find the signal through the noise,” says David. 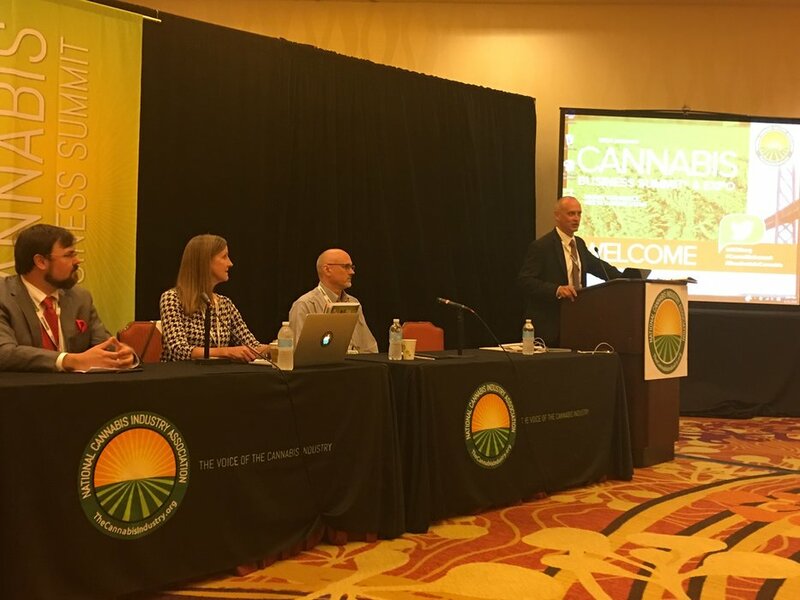 “In the absence of official methods, cannabis labs need to perform method validation in-house for each type of sample, ranging from dry flower to different types of infused products and concentrates.” In addition to those difficulties of providing robust and reproducible lab tests, the panel emphasized that there is currently no laboratory accreditation program required by California regulators. The cannabis industry in California is still rather unregulated and lacks consistency in safety standards across the market in almost every sector. Attendees seemed to look forward to the November 8th vote on the ballot initiative in California as a solution for the state’s current problems, hoping consumers and patients alike will find solace in a more regulated, standardized and safe market. The NCIA will be hosting a “Seed To Sale Show” focused on best practices and case studies January 31st and February 1st, 2017 in Denver. The next Cannabis Business Summit will be held from June 12th to the 14th of 2017 in Oakland, CA.